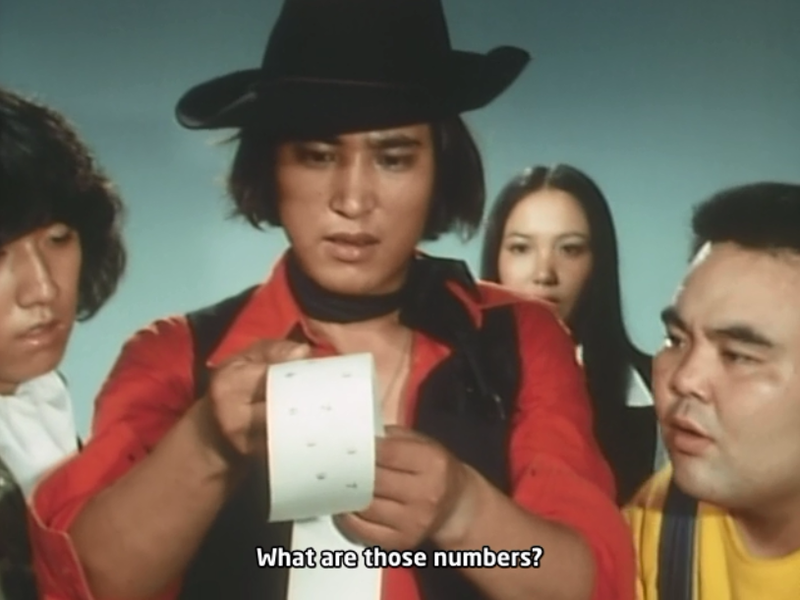 The gang looking at the episode count in this batch like WTF? Hey there, everyone! Been a while, huh? I know it's been a while since there was any updates on this project, and I haven't even been keeping up with the comment section anymore. I'm sorry about the lack of updates and communication. Anyway, last I appeared, I kept saying we weren't dead, right? Well, I godd*mn f*cking told you so. here we are with some new releases, at long last! I could give a thousand reasons as to why we've been taking this long, but you all know the gist of it: real life happens. The important thing is, we're back, episodes will be coming consistently from now until the end of the show, and all the previous episodes that had dead links have been reuploaded. Until we finish the show, we will be releasing only DDL. Well, thanks to our bro Ais, we now have torrents for this batch! He's offered to keep doing them, so we will have torrents until the end of the show too. Links are under the cut. Worry not, though, for once we actually finish we plan to go back, retime everything to the Blu-Ray raws, and re-release the whole thing in a torrent bacth. Promise. Also, it'd very much please all of us at Rampage if you'd check our Credits page, for updated credits on this project. Now, if you'd please, join me after the cut for the very, very few translation notes I want to offer! Since there's just too many episodes, I'm going to refrain from commenting them individually. Let's just say this is a fun batch! The riddle for episode 61 is "What do boys have two of, and girls only have one?". The answer, in Japanese, would be the 'ko' syllable, since "boy" is "otoko no ko", and girl is "onna no ko". In episode 66, the riddle is "What's the bird that's good for cleaning dirt? ", and the answer is "the dustpan". "Bird" in Japanese is 'tori', dustpan is 'chiritori' - literally meaning "dirt-taker". He follows up with "Which tree is the dustpan's best friend? ", and the answer is "the broom". "Tree" is 'ki', "broom" is 'houki'. So, there you have it! OMG!! I was literally looking up preproduction information on Goranger and decided to pop in an see if their was an update. An behold!! Please tell me the last 18 Episodes are almost sub.. Love your groups work. Keep it up! Thank you very much. So excited to watch more Goranger! Your're welcome! We hope to keep up the pace and release more episodes soon. Keep an eye out. Thanks so much for the new releases! I was really excited when I found this site a few months back, and I've really been loving the stuff you all put out. One thing I noticed though--it seems there are a good chunk of episodes missing in the middle of both sub types. The Softsubs stop at 32 and skip to 43, and the Hardsubs stop at 38 and skip to 59. Are those all being redone, or were they lost in the shuffle? Looks like they're all there now. Thanks! Alas! It's good to see y'all again with way more episodes than expected! Oh thank Kami! I thought this group went dark and abandoned the project. Keep it up! JAKQ is being worked on by LovexCare, the same group that has been subbing it so far! We're slow (I'm a part of the group), but we will not abandon the show! Good to hear. Fingers crossed that one day, all showa Sentai will be subbed... now theres an idea for a goal. Maybe by the 50th anniversary? I'm sure Shout Factory will officially release them all eventually. Didn`t shout create the worst English subs for Gingaman in the history of Gingaman English subs and stole the Ohranger subs from a fansub group? Check our "Releases" page. You'll find our MEGA folder there. I have been a role with other Super Sentai series fully fan subbed and Kamen Rider. So I have been kept well entertained.